We go to hospitals and entrust our health to people who are essentially total strangers. We hope that all the proper protocols will be followed and we’ll end up with a favorable outcome. Yet, this is not always the case. Serious injuries and unexpected complications are not necessarily caused by medical malpractice or negligence, but there are times when lawsuits against hospitals and health care practitioners are warranted. Medical negligence lawsuits may involve allegations of birth injuries, surgical errors, anesthesia mistakes, misdiagnosis, medication errors, or poor monitoring of patients. Every medical practice must adhere to a certain standard of care. If these standards have been breached in any way, patients may be entitled to compensation for their injuries. Birth Injury Lawsuits – Plaintiffs have been given settlements ranging from $1.4 to $7.5 million for errors made during the birth of a child that results in cerebral palsy, brachial plexus injury, brain damage and other permanent injuries. They have also won jury awards well into the millions of dollars. For instance, a Staten Island jury awarded $100 million to a couple when St. Vincent’s Medical Center personnel sent a woman in labor home with a Benadryl. The medication caused her twins to be born prematurely, with one daughter diagnosed with cerebral palsy. Surgical Errors – Back in 2009, ABC News reported that Rhode Island Hospital was fined $150,000 for five surgical errors. It was discovered that finger, mouth and brain surgeries were done in the wrong locations on multiple patients. Other cases involve surgical tools that are accidentally left inside patients or infections caused from poorly sanitized tools that should have been detected much earlier with proper monitoring. Anesthesia Errors – There were 11 major anesthesia accidents and 59 minor incidents reported to insurers between 1976 and 1988, according to a review by the Department of Anesthesia at Beth Israel Hospital. Five of these patients died, four had permanent nerve damage and two eventually recovered from cardiac arrests. In Logan vs. Hillview Clinic, a woman suffered permanent brain damage from an abortion procedure at an unlicensed facility when anesthesia was delivered without proper monitoring, trained nurses or a certified anesthesiologist present. She received a $3 million settlement and had her story featured on 60 Minutes. Misdiagnosis & Medication Mistakes – A study published in BMJ Open found that missed diagnoses and drug errors are the most common reasons patients file medical malpractice lawsuits. Missed or delayed diagnoses were cited most often, with death as the most frequent patient outcome. For example, an infant was rushed to Reading Hospital and Medical Center in Reading, Pennsylvania with a 103-degree fever. The doctor diagnosed her with a middle-ear infection and sent her home with antibiotics. When she appeared pale and unresponsive the next morning, her parents rushed her to the pediatrician’s office only to find that she had pneumococcal meningitis, hypoxic brain injury and brain swelling. She died of complications 21 months later and a jury awarded the family $1.7 million. Poor Monitoring – Nurses and doctors should always be keeping a close eye on patients in their care for signs of distress. In one case, a Clay County lieutenant received a $178 million medical negligence settlement when a jury determined that he had not been monitored properly during his weight loss surgery recovery. Medical staff should have noted that fluid was leaking from his bowels into his abdomen for a full eight days. As a result, the man suffered a stroke that left him brain damaged and unable to walk, talk, feed or see normally. There are many types of injuries a person may recoup in lawsuits against hospitals and medical care teams. The most obvious damage sought is compensation for past and future medical bills. However, patients may also sue for: loss of past and future earnings; reduced income capacity; emotional distress, pain and suffering; legal costs and fees, and punitive damages designed to punish the defendant in cases of gross negligence. Sometimes a medical negligence lawsuit won’t even make it to trial. When hospitals or health care professionals know they made a grave error, they often agree to settle quietly outside of court to avoid a lengthy and potentially expensive trial and verdict. A lawyer who specializes in medical malpractice litigation can help victims determine their legal rights and options for legal recourse. Hospitals and doctors often arrive with a strong defensive strategy, lots of money and well-heeled attorneys. 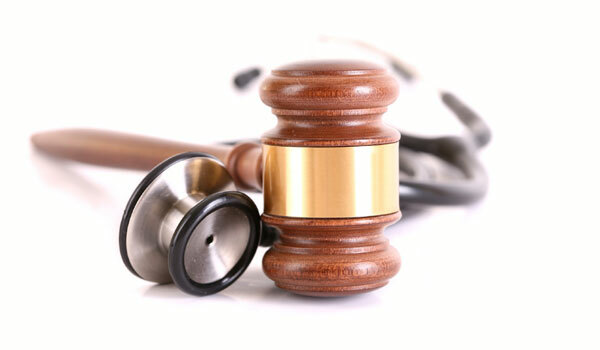 In order to win a case, the plaintiff must prove that the attending physicians, nurses and hospital staff somehow deviated from the widely accepted standard of care. At Eisbrouch Marsh, our medical negligence attorneys have the resources and skill to retain expert witnesses and documentation to validate your claim. Call us today for a free and confidential review of your case.